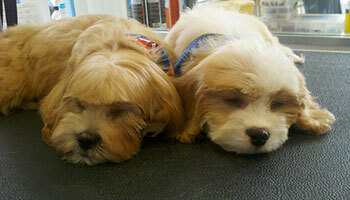 We offer professional grooming services in Northern and Central Virginia. Washingtonian Magazine has twice selected us as among the top groomers in the area. At Canine Clippers, Featherle Pet Care, and Wash-N-Wag of Culpeper, our goal is to bring to our customers the highest degree of confidence that their family pets are receiving the best in professional grooming and care. Our pet groomers are continually studying and honing their skills. This ensures they will execute correct trims on AKC breeds as well as construct the many attractive styles available for mixed breeds. They are always glad to answer any questions you may have and work with you in achieving the “look” you desire. We encourage this and other communication between groomer and pet owner so you will have a better understanding of the grooming procedure and be happier with the results. How does having your pet groomed by us differ from our competition? 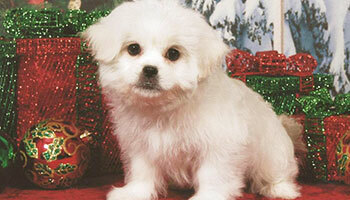 Dedication & Longevity: For over 30 years, we’ve provided excellent and loving pet grooming care. Family oriented: We’re not a chain, but a regional business, exclusive to Northern & Central Virginia, and operated by the same family since inception. Care & Service Only: We sell no products; our only interest is in the hands-on care of our customers’ pets. Accreditation: Most of our groomers are certified by The National Dog Groomers Association of America as Certified or Master Groomers. Continued Education: Our groomers continue their training and further their skills by attending seminars, competitions, classes (i.e. to learn CPR and trouble-shoot for medical conditions). Experience with Animals: Many of our groomers have worked and lived with other species of animals, such as horses, and have learned the patience and respect for animal behavior that is necessary to make grooming our clients’ pets a stress free and enjoyable experience.